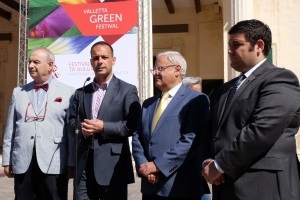 The Valletta Green Festival introduces a green and colourful element to an otherwise urban area such as Valletta. This year's edition commemorates Valletta's 450th anniversary. One of the Valletta 2018 projects met with great enthusiasm is the Valletta Green Festival – a weekend-long event which transforms one of the largest open spaces in Valletta, Pjazza San Ġorġ with a huge floral carpet of some 80,000 potted plants. 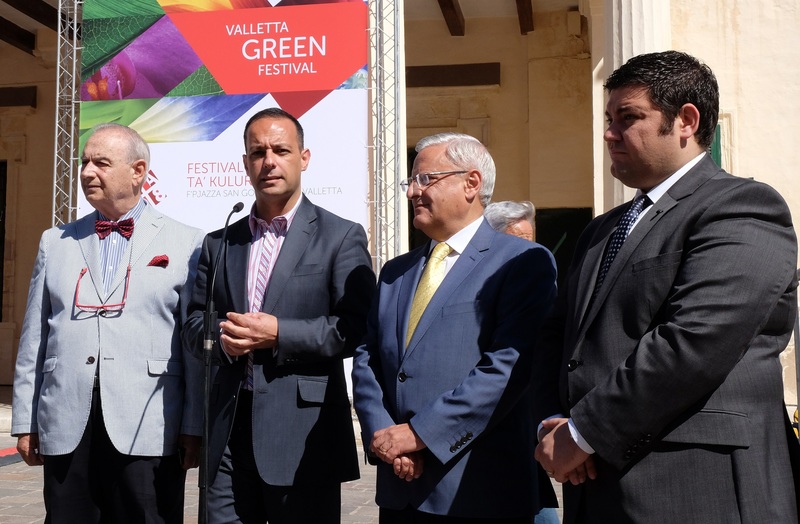 This year’s Valletta Green Festival will take place from the 6th to the 8th May 2016 and will be held every spring, with the intention of growing further over the coming years. A main attraction this year will be the secret gardens at the Archbishop’s Palace and the cloistered monastery of St Catherine, which will this year be open to the public for the first time in 400 years. 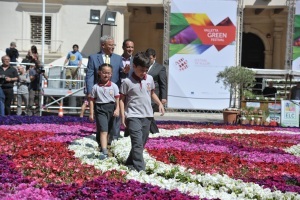 The past two editions of the Valletta Green Festival saw Pjazza San Ġorġ filled with flowers with a massive floral installation of 400 square metres. The infioriata is created from seasonal flowers, packed tightly together, resulting in a colourful mixture of whites, pinks, purples, yellows and reds. 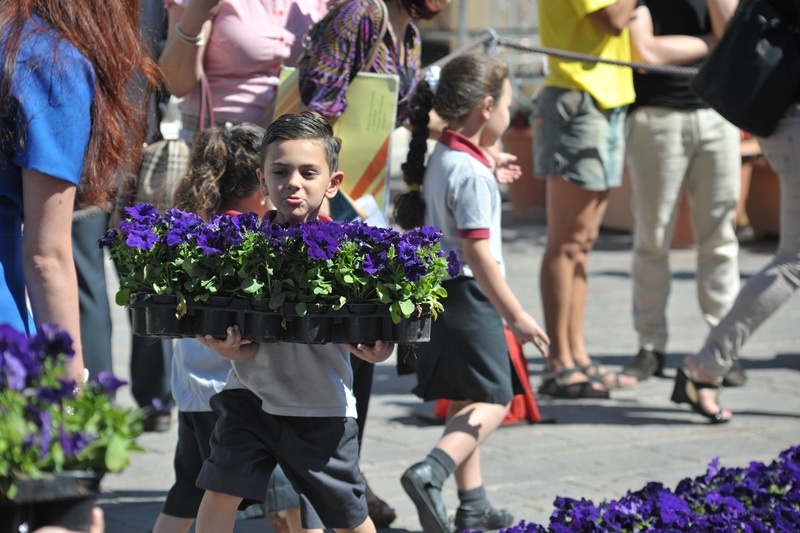 The aim of the infioriata is to inspire residents to start developing green areas in their own towns and villages. Roof gardens, for example, are easy to set up, and not only make urban landscape more visually attractive, but they also lower temperatures in the hot summer months. 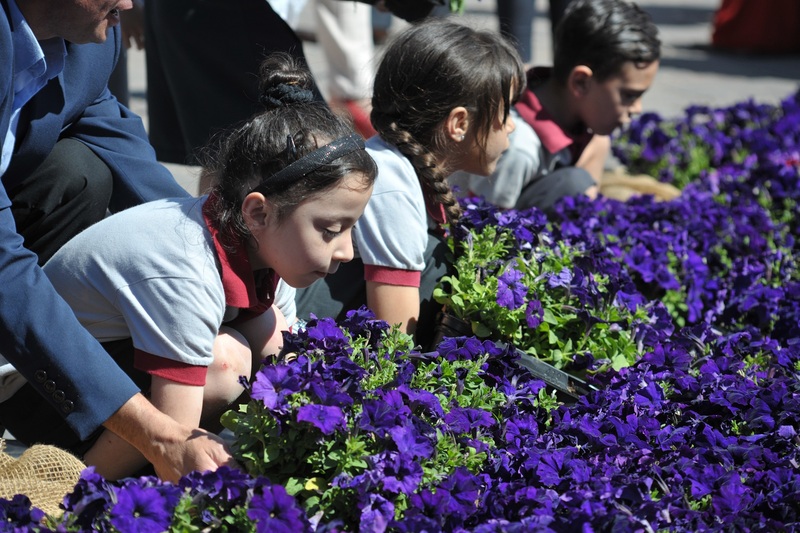 The project is a Valletta 2018 collaboration with the Ministry for Sustainable Development, The Environment and Climate Change; the Environmental Landscaping Consortium; the Parks Department, as part of the Tree 4 U (34U) campaign; and WasteServ Malta Ltd.